2/9 Saturday, 73/64, partly cloudy, E20-25 - A strong NE breeze blew in around 3am. We were sleeping with the hatches open, and we could hear halyards starting to clang (not ours) and feel the wave action pick up in the marina. Still, this slip proved a good one and Grace bobbed comfortably. We tried sleeping late but the pets had other plans - Max was disturbed by the wind and let us know, then wanted his litter box at 6am. Murphy wanted to climb into bed with us. We made it ‘til 7am. I prepared breakfast, and from there, the day picked up speed. We had a splicing class to prepare for, and we also needed to ride to Sav-A-Lot for coffee and a few other things. I tried working on Walden Rigging’s February newsletter, but there just wasn’t time. 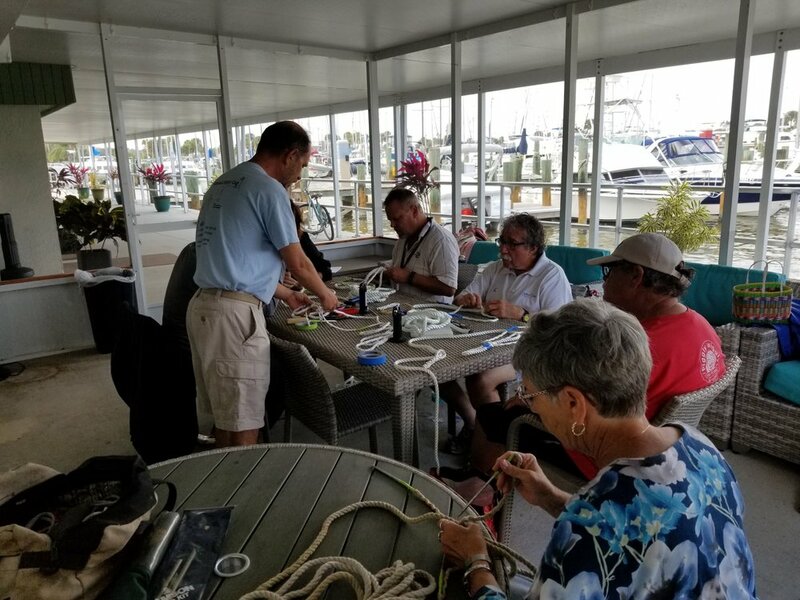 The splicing class was a great success. 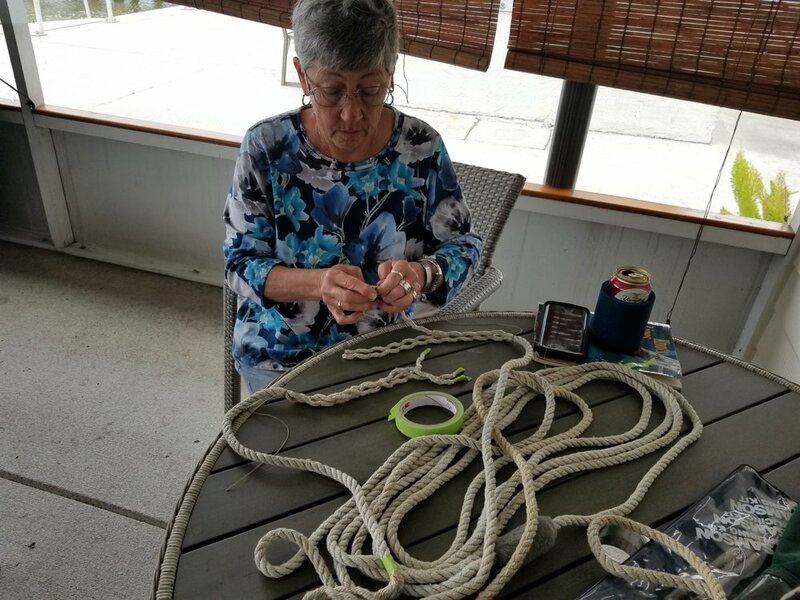 Every participant completed two splices while simultaneously chatting and laughing, and Dobbs and I felt energized by the smiling faces that turned out to learn a new skill. 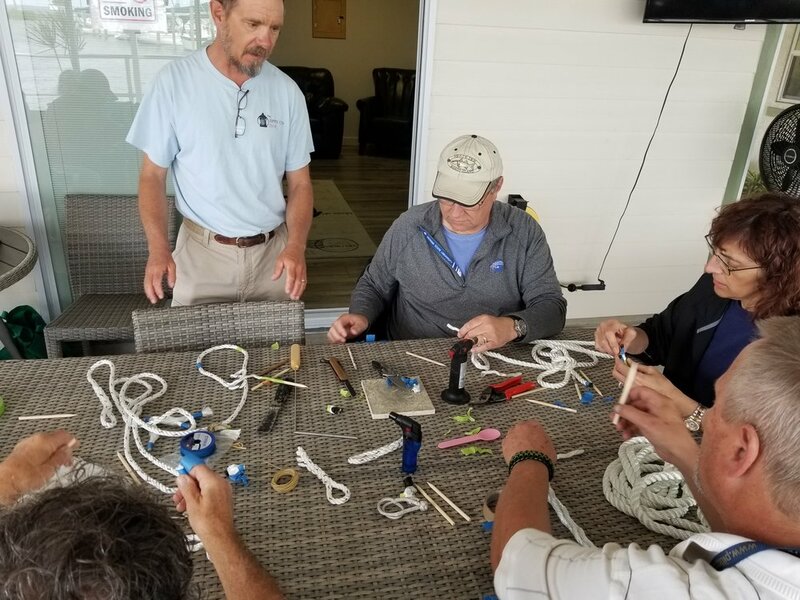 Afterward, two people from the splicing class, Deanna and Dave of the Island Packet 380 Packet Inn, came back to Grace to see more 3-strand applications (chain snubber, dinghy painter) and learn about composting heads. 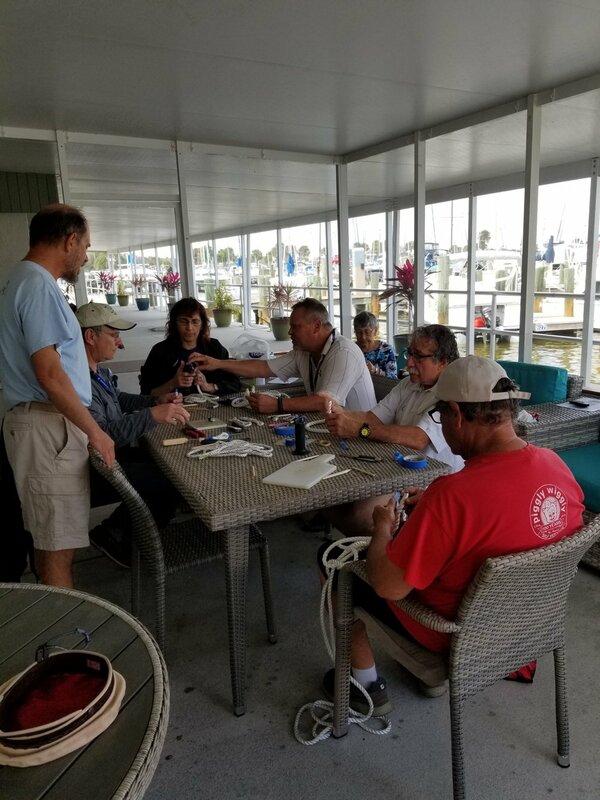 We shared wine and snacks and then, when the conversation turned to boat handling, we headed over to Packet Inn to make it more relevant. They returned the wine and snacks and hospitality, and we talked until 7pm. I encouraged Dobbs home so I could get to work on dinner - perogies and sautéed chicken with Italian vegetables. It’s 8:37pm - we’ve eaten and Dobbs is out walking Murphy in a break between rain squalls.